„Jurassic World 3D“ ist weltweit wie eine Bombe in den Kinos eingeschlagen. 511,8 Millionen US-Dollar hat der Film am ersten Wochenende weltweit eingespielt, ein neuer Rekord. In Deutschland legte der Film mit 900.000 Besuchern ebenfalls gute Zahlen hin. Damit verdrängt „Jurassic World 3D“ den bisherigen Spitzenreiter „Harry Potter und die Heiligtümer des Todes Teil 2“. Das Finale der Potter-Saga sammelte an seinem ersten Wochenende (2011) 483,2 Mio. US-Dollar ein. Der Riesenerfolg für die Universal Studios wurde maßgeblich von der 3D Version von JW getragen! Wie Real D berichten, sahen satte 48% der Zuschauer am Startwochenende die dreidimensoniale Kinofassung der Dinos. Ein klares Bekenntnis zu 3D. 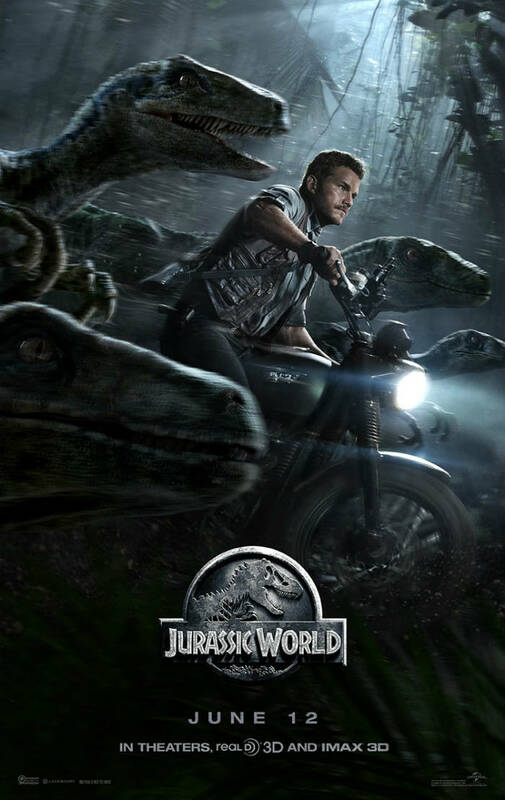 (NYSE: RLD) announced today that Universal Pictures and Amblin Entertainment’s epic action-adventure, Jurassic World, continued the strong performance of recent 3D titles in the marketplace generating approximately 48% of its domestic opening weekend gross on 3D equipped screens. RealD 3D accounted for an estimated $71 million of the weekend’s total box office. RealD 3D equipped PLF auditoriums were also in high demand, delivering $10 million of the opening weekend’s total.! years…maybe ever,” said Anthony Marcoly, President of Worldwide Cinema at RealD. “2015 will be remembered as a watershed year for this format with one of the strongest 3D slates we have ever seen.”! 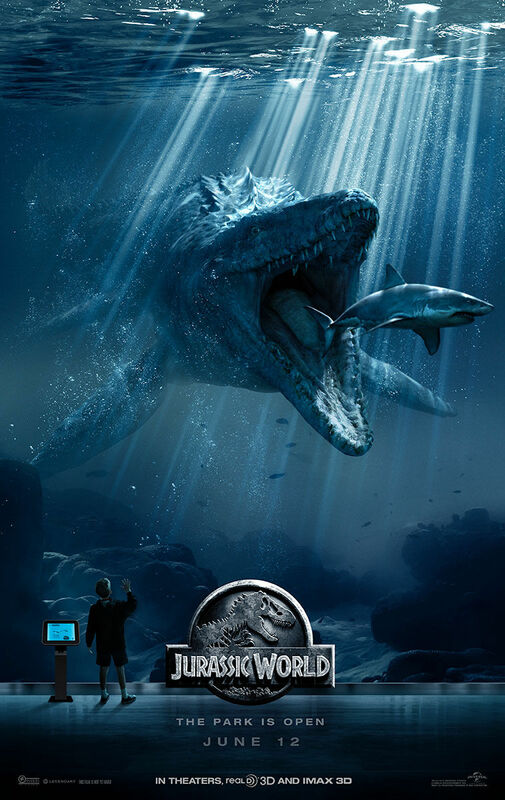 “Jurassic World in 3D is a fantastic experience which brings the audience closer to the action,“ said Nicholas Carpou, President of Domestic Distribution for Universal Pictures. „It is no surprise to us that audiences are responding in big numbers to this fantastic film.“! Even Jurassic World director Colin Trevorrow believes the moviegoing experience is enhanced when his film is seen in 3D. Said Trevorrow, “My goal with this movie was always to make sure Jurassic World felt like a real place and in 3D you feel like you are there… For us, it was about creating the most visceral, immersive experience possible. And this kind of technology (3D) does what I hope the whole movie does, which is make everyone in the audience—regardless of their age—feel like a kid again.”!
. Upcoming this summer and through the end of the year, there is growing excitement for 3D motion pictures as diverse as In-side Out, Terminator: Genisys, Minions, The Walk, The Martian, Pixels, Pan, and Star Wars: The Force Awakens, among others. The world’s most widely used 3D cinema technology, RealD 3D is installed in more than 26,500 auditoriums by approximately 1,200 exhibitors in 72 countries around the world. RealD is a leading global licensor of 3D and other visual technologies. RealD’s exten-sive intellectual property portfolio is and can be used in applications that enable a premium viewing experience in the theater, the home and elsewhere. RealD’s core business is the licensing of RealD Cinema Systems and the product sale of RealD eyewear to motion picture exhibitors to enable a premium viewing experience for 3D motion pictures and alternative 3D content in the theater. RealD was founded in 2003 and has offices in Beverly Hills, California; Boulder, Colorado; London, United Kingdom; Moscow, Russia; Shanghai, China; Hong Kong; Tokyo, Japan; and Rio de Janeiro, Brazil.